Born at the turn of the century in rural Nova Scotia with a debilitating illness which has crippled her body from a young age, Maude (Hawkins) dreams of escaping the humdrum life she leads under the watchful eyes of a strict elderly relative. After losing both parents and being abandoned by her brother, the bright young woman escapes her solitary existence by dedicating her time to her art. 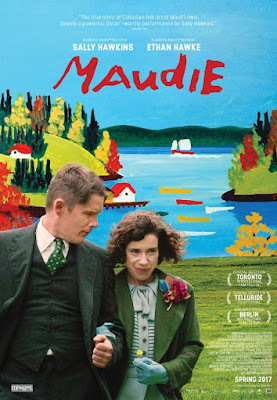 When a chance encounter leads her towards Everett Lewis (Ethan Hawke), a 40 year old bachelor in search for a live-in housemaid, the two soon strike up an unlikely union, which allows Maude to finally showcase her talent as one of the most respected folk artists of her time. As Maude moves in with Everett in a his ramshackle cabin barely big enough for one person, she soon settles into a routine with a cruel and nasty individual who is violent towards her and treats her with utter disdain. Managing to finally win him over, Maude is eventually left to her devices by Everett who encourages her artistic endeavour, even when she starts drawing on his walls and anything else she can get her hands on. Carrying the film from the get go, Hawkins put in an extraordinary turn as Maudie, her ability to inhabit the character of a woman crippled by her disabilities is beyond astounding. Hawke is equally brilliant as a man of few words, his performance is not only unnerving and unpredictable, but he also manages to stay true to the character through out the film without ever adding anything which is not needed. 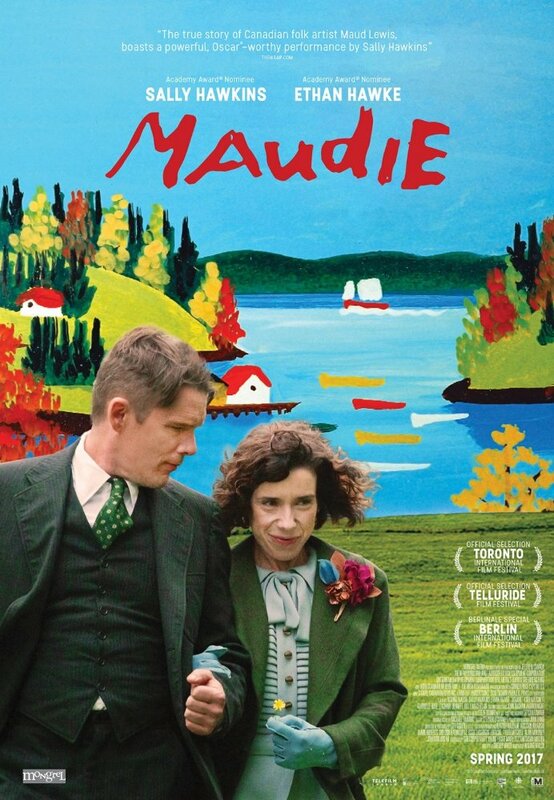 Maudie is a hard watch at times, but its value is is the honest way in which it is told. Characters and real life events are never sanitised in order to make it more accessible, however Walsh’s ability to depict touching moments amongst the despair is what makes it into one of the most beautifully crafted films of the year. A beautifully told and wonderfully acted piece. A must see.